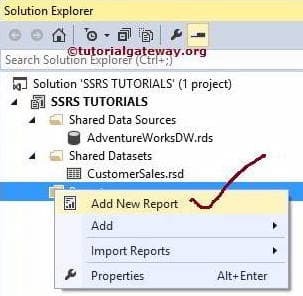 In this article, we will show you the steps involved in Creating SSRS Table Report using Report Wizard. 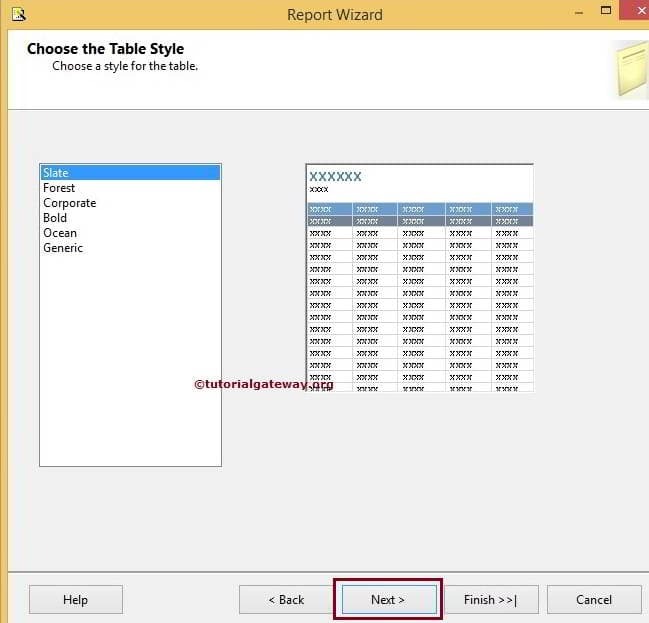 I suggest you to refer Create Table Report article to understand the steps for creating the table report in a general way. After creating a New SSRS Project, We have three folders in the solution explorer such as Shared Data Sources, Shared Datasets and Reports. Reports folder is enough to design a basic report. 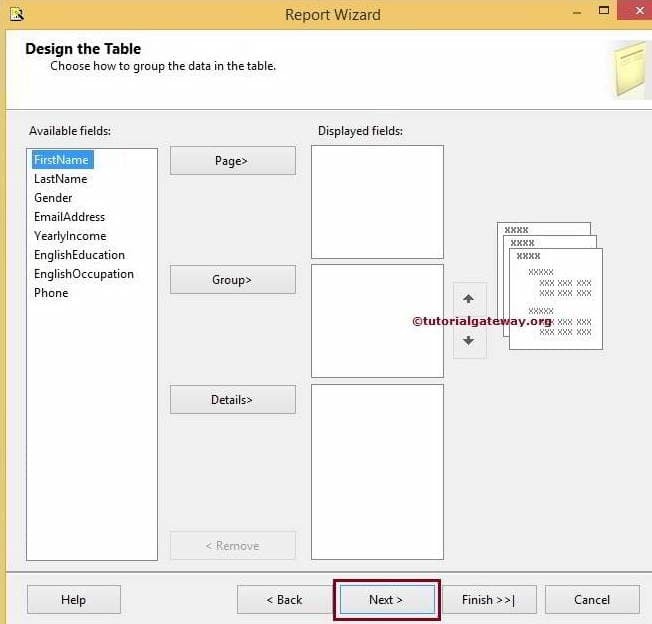 When we right-click on Reports folder it provides various options to design reports. 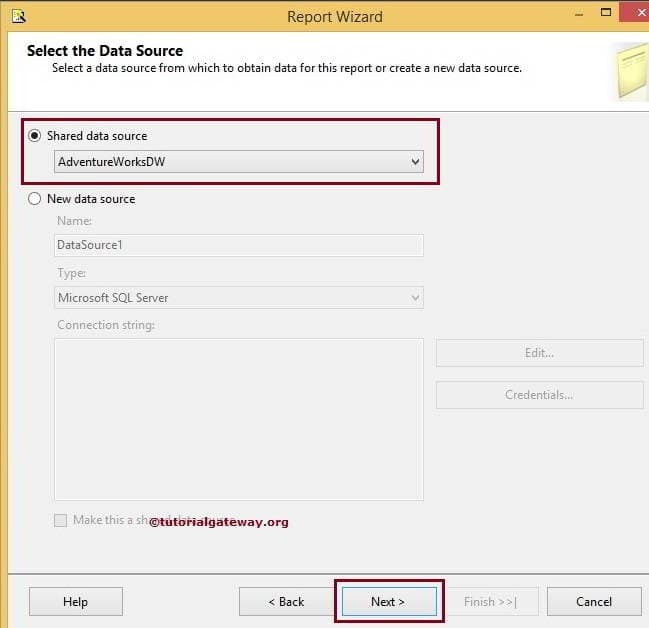 Add New Report: Open up the Report wizard to design report. 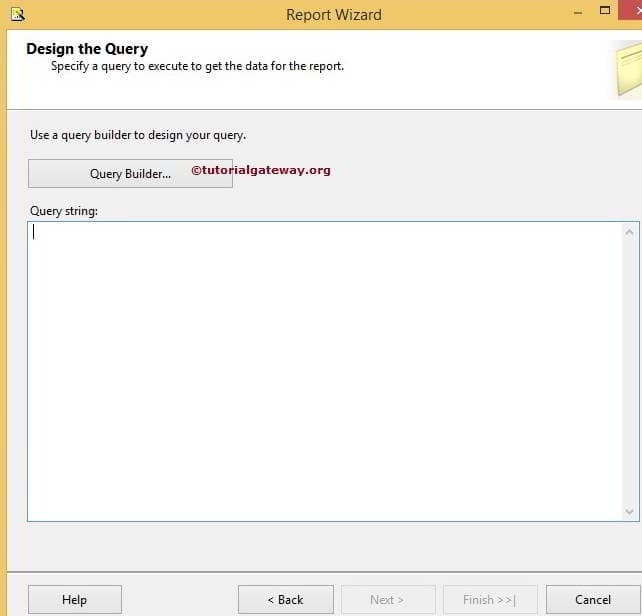 Add: Gives us the choice to choose whether we want to design a report using Report Wizard or an empty report. Import Reports: We can import reports from the file system. Here we are selecting the first option Add New Report. 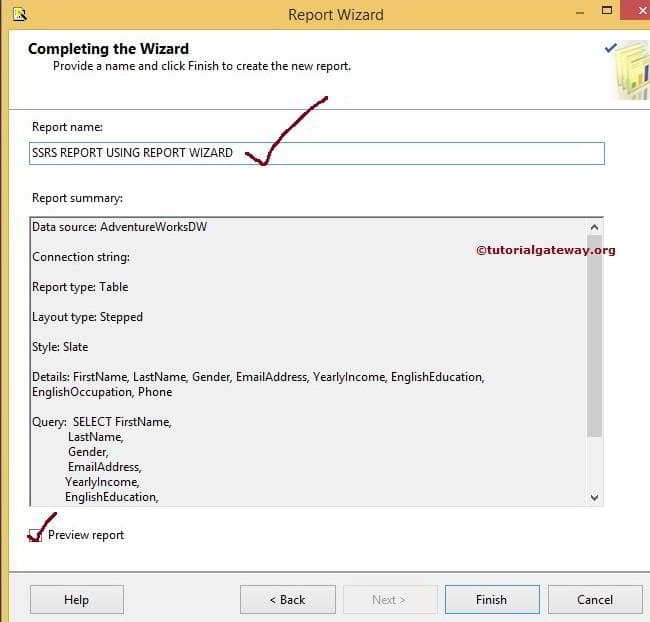 Once you click on this option, it will open the Report wizard as we shown in below screenshot. The first page is a Welcome screen, If you don’t want to see this page again, Please tick mark the Don’t show this page again option. Shared data Source: If you already created the Shared data Source, Please select the data source name from the drop-down list. New data Source: If you haven’t already created the data Source, Please select this option and create a New data source. If you select the New Data Source then following properties will come into play. 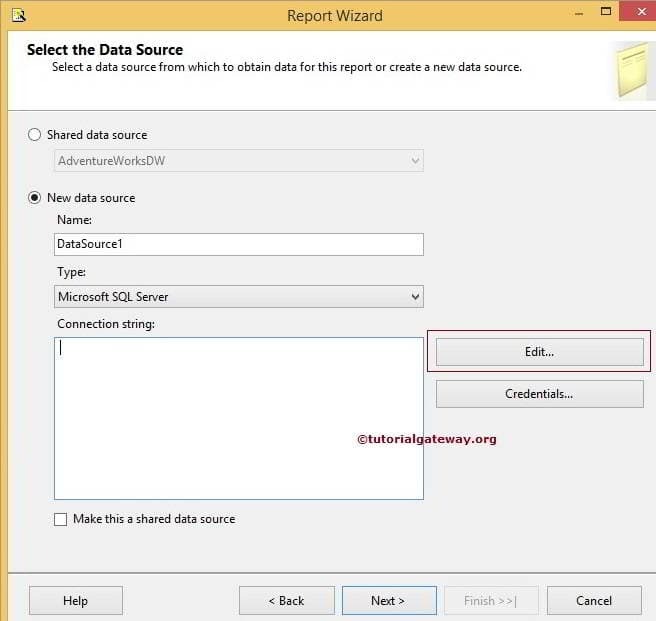 Please refer to Shared Data Source in SSRS article to understand the properties in detail. Select the Report Type: Please select the Report type you wish to design. 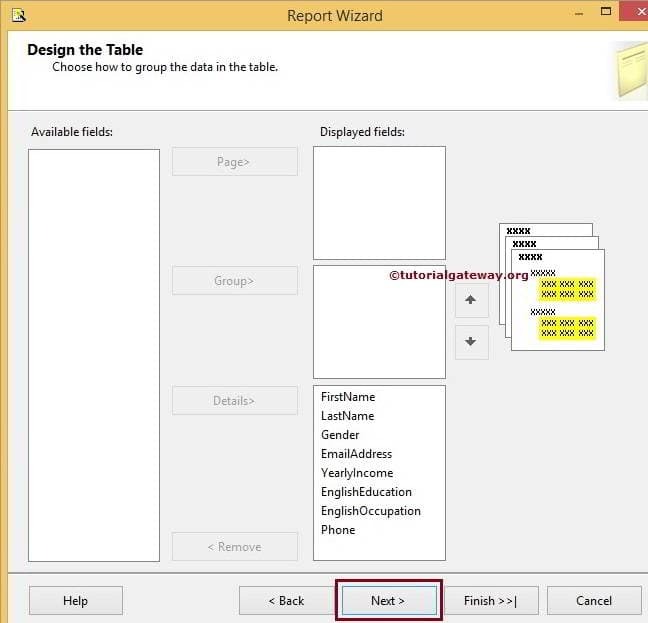 If you are designing a Table report, Please select the Tabular option. If you are designing a Matrix report, Please select the Matrix option. Grouping: If you want to perform any grouping operations then place those columns in this place. 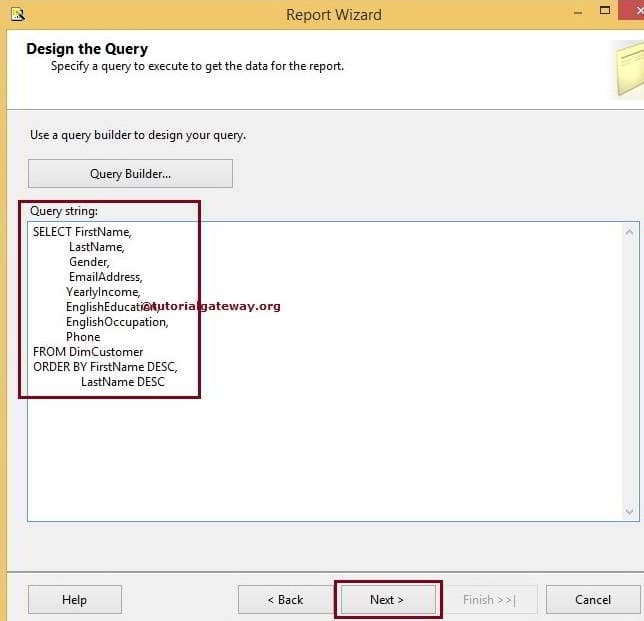 Details: Columns added to this tab will be shown as output columns in the Table report. Because it is a very basic report, Please don’t bother about grouping just understand the concept. You can visit other articles to understand these things. Choose the Table Style: You can select your own style as per your requirements. 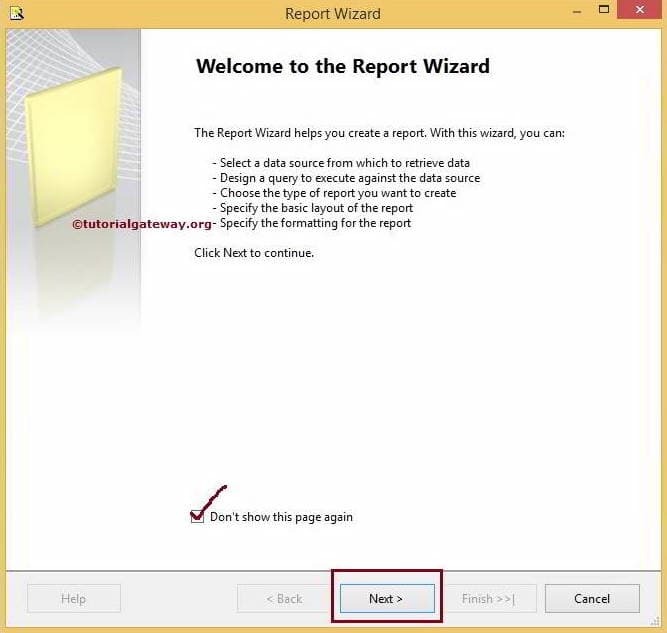 Completing the Wizard: Please provide a valid name for the report and click on the finish button. If you observe the above screenshot, You can see the SQL Query, Report Type, Data Source and layout Type details. 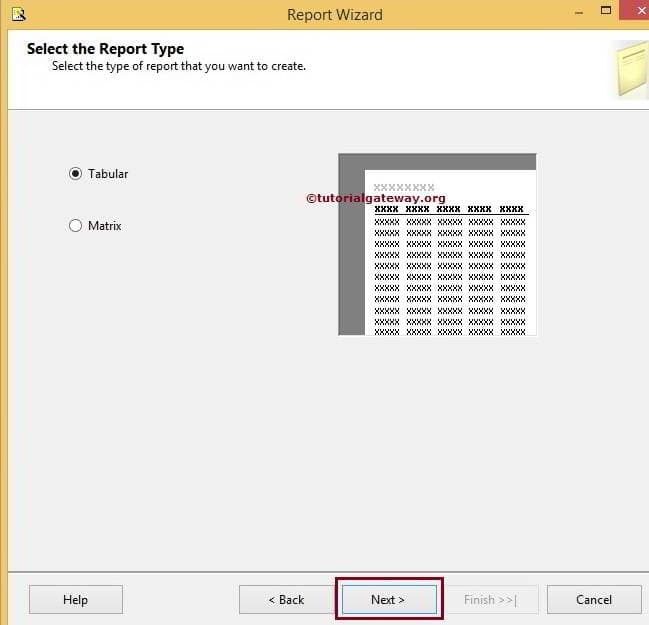 Click Finish button to finish creating SSRS report using report wizard.